PT Inovação SA (PT Innovation) is the technological anchor of the Portugal Telecom Group. Being recognised as the centre of excellence of this Portuguese group, it creates strategic value for Portuguese Telecoms. Along with Xpand IT, PT Innovation has been able to establish the best solutions development practices. And with the proper tools and our extensive experience in this area, we provided the best possible solution. Provide a high availability solution. 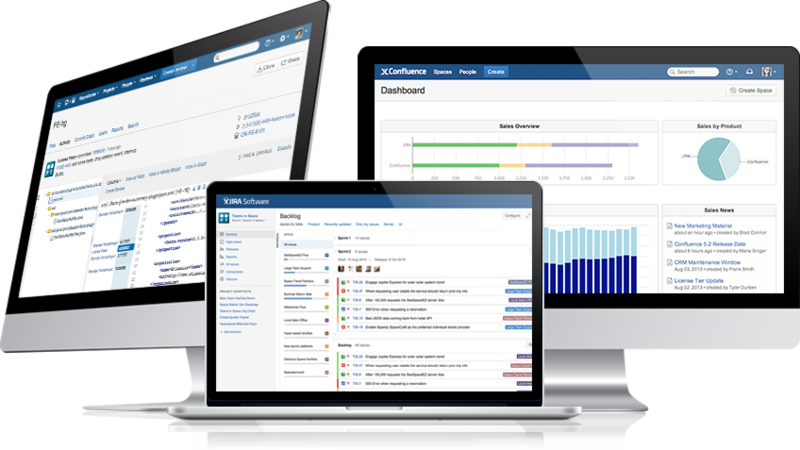 Jira is a project management software that allows teams to capture and organise issues, assign work and follow team activity, spending less time managing and more time developing software. You don’t need to be a tech ninja to work with Jira. In fact, it is accessible to any person on your team. As a flexible issue tracker, it helps to manage all your different issues within projects, versions, dependencies, relations, defects and much more. Confluence is team collaboration software that changes how current teams work. It allows you to create, share and collaborate on projects all in one place, keeping your team’s work organised, accessible and, by making it easier to find the information needed, it keeps your work moving forward. Also, since high performing teams cooperate to maximise productivity, Confluence is the perfect tool that combines the speed of creating on your own with the advantages of working together.